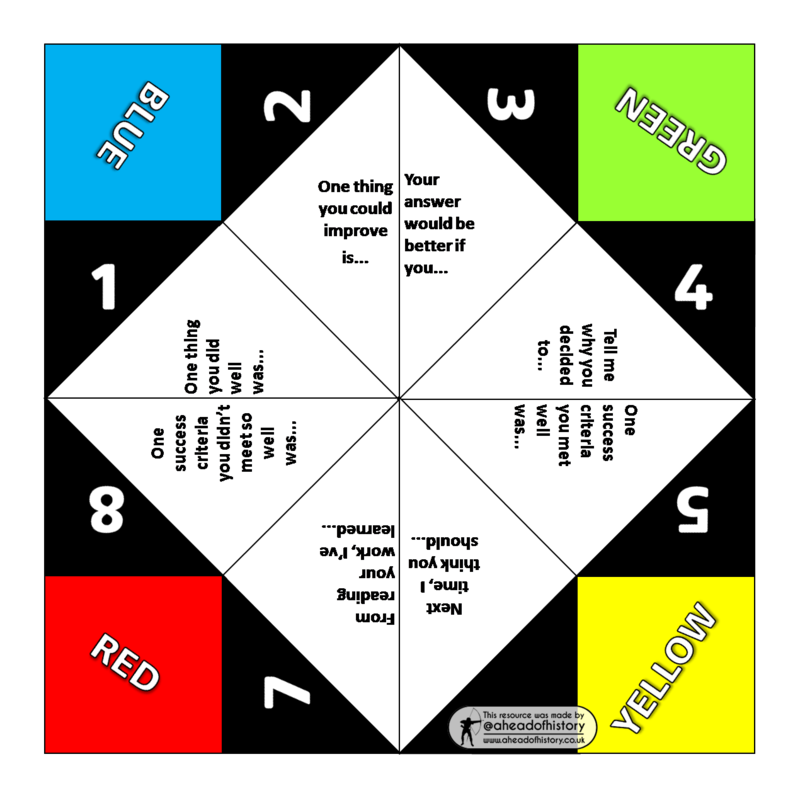 After several requests on Twitter, I'm pleased to publish a high quality, printable version of my peer assessment fortune teller here. I would use it as an engaging way of encouraging students to carry out oral peer assessment. The prompts on the fortune teller also help to structure and prompt the feedback which weaker students give to their partners.